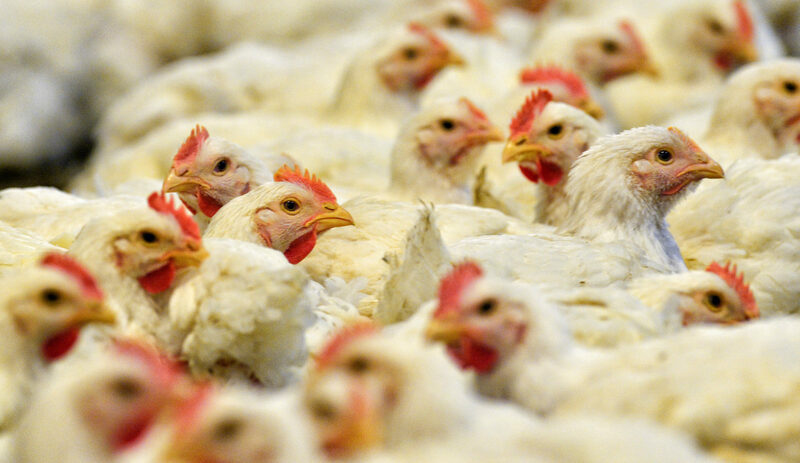 The chicken debate is becoming intense and the SA Poultry Association has lobbied the International Trade Commission of South Africa to increase import tariffs on chicken from Brazil. The SA Poultry Association (SAPA) has lobbied the International Trade Commission of South Africa (ITAC) to increase import tariffs on chicken from Brazil from 37% and 12% to a staggering 82%. SAPA’s rationale, however, is rooted in misinformation and untruths that, if not urgently addressed, could further consolidate the local market and drive up the price of chicken, thereby imperilling South African consumers who are already under significant financial pressure. The Brazilian Animal Protein Association (ABPA) strongly rejects the arguments by the SA Poultry Association and would like to set the record straight. Every day, millions of dedicated workers and producers in Brazil, as well as their families, work to deliver healthy, safe chicken for global export to more than 150 countries around the world. The result of these efforts is that Brazil’s chicken quality is recognised worldwide, and consequently, this has positioned Brazil as the largest global exporter of chicken. Food security is the cornerstone of our business, and it is on this basis that we have established meaningful partnerships with our customers around the globe. Not only is South Africa our partner in the global drive for food security, but it is also a valued partner in BRICS. Therefore, in recent weeks, it has been deeply concerning to see protectionist voices generating misinformation about Brazilian poultry exports to South Africa in the local media. These claims are clearly motivated by commercial ambitions and a drive to blindside authorities in order to consolidate the South African market. One of SAPA’s claims is that Brazil is dumping chicken in South Africa; in other words at prices lower than what is being charged in our home market, thereby undermining the local poultry industry. It is also telling South Africa that Brazilian chicken is not safe for human consumption. These damaging allegations are simply not true. We know that just like us Brazilians, South Africans love their chicken. Crucially, chicken is also the most affordable and accessible source of protein for most South Africans. So what are the facts? Where do South Africans get their chicken from? How do we know Brazilian chicken is safe to consume? First, it is important to clarify: of the approximately 1.8 million tons of chicken consumed annually in South Africa, about 1.3 million comes from local poultry farmers. About 500,000 tons comes from exporters such as Brazil, the US and the EU. Therefore, more than 70% of South Africa’s domestic consumption is supplied by local producers. These figures illustrate that poultry products imported from Brazil and other chicken-exporting nations complement local demand for South African protein, as is the case in all other world markets. Second, it should be clarified that Brazilian poultry producers are not dumping chicken. Brazil’s efficient production costs are thanks to the supply of inputs and natural resources. These claims have been tested and affirmed. In the past, the South African government launched an investigation into Brazil’s exports of chicken meat at the World Trade Organisation (WTO), where the panel concluded that Brazilian producers did not practise dumping. Most importantly, there is no health risk posed by imported Brazilian chicken. The same production lines that supply Brazil (one of the largest global consumers of chicken meat) also provide products for the world’s most demanding markets, such as Japan, the European Union, China and South Africa. In this process, Brazilian authorities guarantee the safety of all production. In other words, in addition to being inspected by South African authorities (all imports are subject to stringent veterinary inspection services and microbiological standards testing), Brazilian chicken meat is evaluated by authorities in Brazil and the other hundreds of markets they are exported to. There are more than 1,000 official and private inspections carried out annually by importing countries. And, despite what has been stated in several articles published in the South African press, no country has stopped importing Brazilian products. There has never been, for example, closure of the European Union for Brazilian chicken meat – which continues to import the products. On the contrary, large importers such as South Korea and Mexico have expanded the number of licensed refrigerators. The specific problems that occurred in Brazil were identified and corrected immediately. Brazilian companies value transparency and adopt strict compliance policies. Brazil deeply values its South African trade partner and remains committed to ensuring the country has access to quality chicken products. In times when local poultry farmers were subject to outbreaks of Avian Influenza, Brazil (which is free of disease) prioritised the supply to the South African market. It is this mutually beneficial partnership which we believe should be preserved and not destroyed. In this war of disinformation and protectionism, the biggest loser will be the South African consumer. We are not opposed to tariffs in principle, but they need to be reasonable. Increasing the tariffs to 82% from the current 37% and 12% will close the market to imports, as it will render most imports unfeasible. Most critically, an 82% tariff will allow the local chicken industry, already dominated by a few large conglomerates, to further consolidate the domestic market, thereby decreasing competition and leading to further price increases. Brazil is not dumping chicken in South Africa, it is supplying quality, unbrined chicken that is sold at a price comparable to that of South Africa, and helping to meet local demand. This ensures that healthy competition is maintained to the benefit of South African consumers. Once chicken imports have been shut out of the market, it will be very difficult for South Africa to fill the current gap between demand and supply. This is a 30% share that will be impacted. Filling this gap is a long and time consuming process, especially if the local supply is subject to further Bird Flu epidemics, rising input costs arising from droughts and the impact of further load shedding. So in exchange for market protectionism, South Africans will find themselves with a shortage of chicken, only available at much higher prices. This will of course feed into growing inflation and deprive many South Africans of their primary source of protein. To prevent these scenarios, calls for the imposition of extreme tariffs should be resisted at all costs. Misinformation, whatever the source, should be corrected. Like you, we want to see a chicken in every pot. Brazil and South Africa are partner nations. Whether through BRICS or bilateral relations, we have a lot to build together. Isolated, everyone loses, especially the South African people. Ricardo Santin is the CEO of the Brazilian Animal Protein Association.